The most misunderstood topic in the fitness industry is always the core. We see these fancy charts and pretty pictures in the anatomy books highlighting certain areas of the stomach and everything looks symmetrical and perfect. Unfortunately we are far from symmetrical and we operate far from perfect especially when it comes to your core function. There are two sections of your core, the inner and outer core. The inner core muscles consist of the diaphragm and the pelvic floor which are really important because they affect your posture and position. The outer core muscles (front abdominal muscles) are marketed to death when it comes to improving your core but have very little importance if any to improving the function of your core. The core is and always has been designed to transmit force not produce it. We need to retrain our abdominals as breathing muscles not pulling, pushing or lifting muscles. 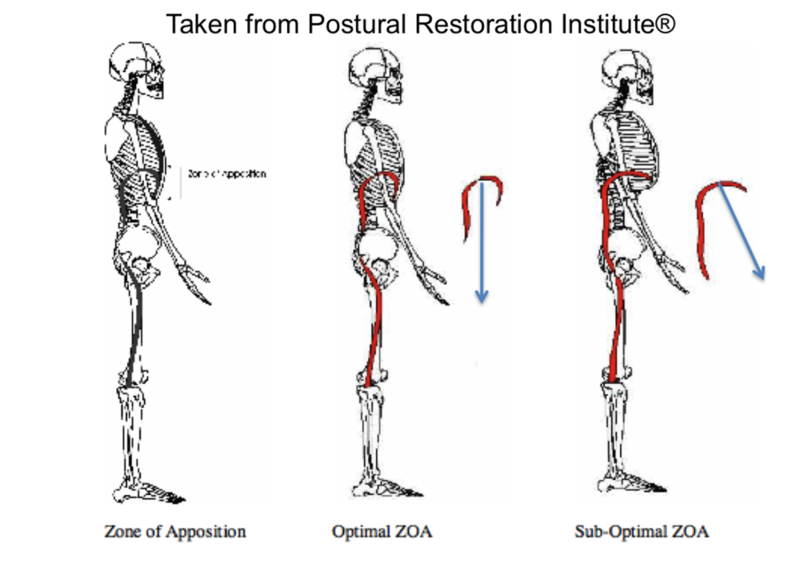 You see position and posture drive everything we do. You can do an hour of core work a day but if you are not doing it in the right position and posture it’s not going to stick. This is why improving your diaphragm and pelvic floor is essential to improving your core. Most breathing techniques that are popular today are outdated and not done correctly. Belly breathing*, drawing in your stomach trying to activate ones transverse abdominals, or just taking a big breath are what I see people doing when exercising. Unfortunately this doesn't work very well because people can’t control the back flow of air pressure. When you were an infant breast feeding, your very first skill was an oral motor skill that would teach you how to swallow and breathe in between your swallows. So that same skill you achieved as an infant has been lost and needs to be retrained. This is why our clients at Heart Fit work on blowing up balloons. Blowing up a balloon provides resistance to recruit the right abdominals and control the back flow of air pressure. Holding a fully exhaled breathe should be the start of proper breathing. Next we need to learn how to inhale thru our nose, while pushing the tongue to the roof of our mouth so that it will create an artificial attachment of our front neck muscles (hyoid muscles). For most people, these muscles are in bad shape. So we want to stabilize our upper spine (cervical spine) by putting it in a neutral position (neither flexed nor extended) to allow better control of the backflow of air pressure just like you mastered when you were an infant. There are a lot of ways to breathe but the best one that we practice at Heart Fit is the most up to date and research based . When breathing in you want to inhale thru your nose to get air into your upper back this is called your posterior mediastinum, this allows you to decompress the spine and open up your disc spaces. People often talk about the key to breathing is during the exhale but it’s not, it’s being able to inhale from a fully exhaled position. Your inhale thru the nose should take roughly 3-5 seconds and your exhale should take twice as long. The goal is to get all that air out and then being able to hold that exhale for 5 seconds without out having the primal urge to inhale again. This puts you in a proper position by pulling your first two ribs down and lifting your pelvic floor up thereby making a permanent change to improve your core over time. The best way to practice breathing is on our back because this allows us to feel the expansion of air into the posterior mediastinum. The wrong way to practice breathing properly would be if you were to do this on your stomach which causes the airflow to be blocked. If you look at some of the oldest forms of exercise they always start with learning basic breathing techniques but the newest trend of the month wouldn’t even consider it. Breathing fuels everything we do in life as well as every movement we make. *Deeper Explanation on Belly Breathing. We need to learn how to take an inhalation from a position of full exhalation. By exhaling fully in the right position we will naturally pull our ribs down with effective abdominals. When I inhale in I will be getting full abdominal expansion with chest expansion. I don't want to see a poochy belly and this is why belly breathing is ineffective because it's a breath that's not using an eccentrically oriented abdominal wall. This allows my diaphragm to now oppose my rib cage.